We are so excited for the school year and all the free opportunities to raise funds for Empower Generations. If you’re already supporting Empower Generations, please note that some of these companies require annual renewal. So please verify that you are still set up to support our school. Thank you for your time and participation! Empower Generations is partnered with Ralphs in their Community Contribution Program. Link your Ralphs Card to Empower Generations’, shop at Ralphs, and earn money for our school. (This will not take away from your gas points). You likely purchase cleaning products, vitamins, and health and beauty aids regularly. Right? More than likely your answer is a resounding YES. That is why we are excited about the Shaklee Fundraising opportunity. With Shaklee, you have the chance to make a real difference for our iLead Schools on an ongoing basis. Now you have the power to help our schools every time you make a purchase by redirecting your choices to Shaklee non-toxic cleaners and health product alternatives. In turn, iLead schools receives 100% of the proceeds/profits from the sale of every product you make directly from our free online store that they have also provided for all of our convenience. All you need to do is go to: iLead.myshaklee.com and place your order. With Shaklee, it’s that simple to raise money while creating healthy environments and individuals too! Clip Box Top coupons from hundreds of participating products found in your local grocery stores and send them to school with your learner. 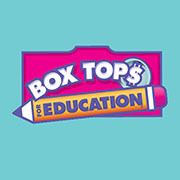 Empower Generations earns 10 cents for each Box Top redeemed. For every 20,000 box tops that Empower Generations collects this year, Empower Generations will receive $2,000 cash back! Learners and Supporters can drop off box tops to the designated BoxTops collection spot at the Empower Generations campus. 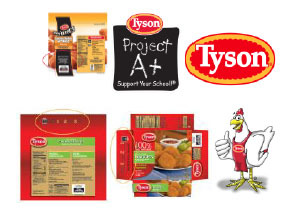 Just clip and collect Tyson Project A+ labels from participating Tyson® product packages and send them to school with your Learner. We will collect the labels and send them to Tyson Foods, and Tyson Foods will send our school a check. Each label is worth 24¢! I hope you’ll join us in collecting Tyson Project A+ labels this year and spread the word to your friends and family. It’s such an easy way to raise much needed funds for our schools! You will earn a commission when customers click through your storefront and make a purchase at Shutterfly, so tell your friends! Go to http://edwinatucker.inteletravel.com, and register. When you register, please type “Donate to iLEAD Foundation” in the “Address 1” space. Please complete the entire form. Search for and book your travel plans through the site, or call Edwina Tucker at (507) 339-4628 for personalized service. Complete travel as planned through Playtime Travel. When our travel agent receives the commission for your completed travel, she will donate 10% of this amount to the Empower Generations. The Foundation will receive a note designating who made the donation possible so that the funds are distributed to the proper iLEAD School site. Ticket purchases to events are included in the program, too! Go to http://playtimetravel.goldentickets.com and purchase desired tickets. When our travel agent receives the commission for your completed ticket purchase she will donate 10% of this amount to Empower Generations. The foundation will receive a note designating who made the donation possible. PLEASE MAKE SURE THAT YOU REFERENCE iLEAD EMPOWER GENERATIONS WHEN MAKING ANY RESERVATIONS OR TICKET PURCHASES TO ENSURE THAT EMPOWER GENERATIONS RECEIVES THE PROCEEDS.